Category: Blog,Silk Ribbon Embroidery,What's New? 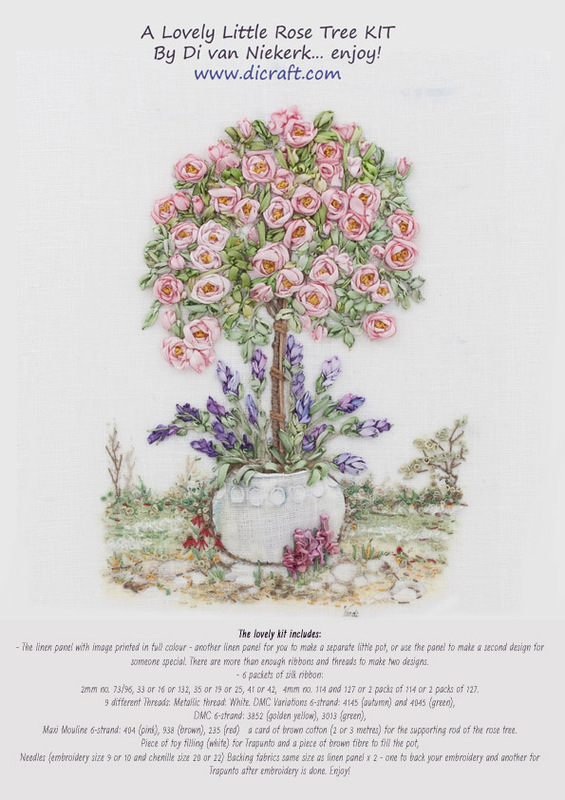 A lovely little rose tree kit has been released. Perfect for a friend who would like to start out or to make for yourself! - another linen panel for you to make a separate little pot, or use the panel to make a second design for someone special. There are more than enough ribbons and threads to make two designs. - and another backing for Trapunto after embroidery is done. The instructions and colour pictures to guide you.